They function in the same way as traditional wind chimes in that sounds are created when wind passes through the chimes and causes them to strike an object hanging in between them. The solar LED versions add an extra touch to the traditional product and will create wonderful illuminating effects after dark. Many different solar LED pendants can be found at different online retailers such as Amazon, and each product has its own unique design and features. We will take a look at a few of the most popular versions and provide honest reviews and product information and descriptions for each. This will allow you to make a more informed decision on which solar wind chime is the right one to suit your specific taste and needs. 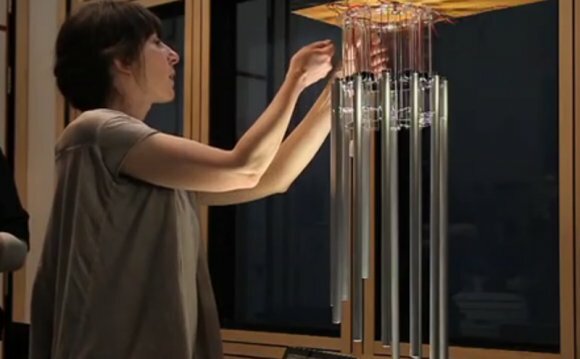 This particular product is one of the most strikingly beautiful chimes on the market. The product features a traditional device and a solar powered LED light that turns on automatically after dark. However, the real attraction is the pieces of capiz which are strung around the chime with a clear nylon string. Capiz is a pearly, semi translucent shell that is found in the ocean, and it is often used for decorative lampshades and window hangings because of the magnificent effect it creates when light passes through the capiz. The pieces of capiz that were used for this particular product were farmed off of the coast of Indonesia. In fact, this entire product was handcrafted by craftsmen in Bali, so each product is unique. When the sun goes down, the LED inside the product automatically turns on and starts to emit amazing patterns of light as it shines through the capiz. The effect of the music coming from the chimes combined with the beautiful light show through the capiz is truly unique and something to be seen. It can add an incredibly peaceful feeling to any situation. Overall, this is one of the more breathtaking products on the market. The can normally be purchased online for between $40 and $50, which makes it about the same price as most other solar LED windchimes. This is by far the most beautiful solar wind chime that we have come across and is highly recommended, especially given its average price. The only negative is that this product is much more fragile than most others, due to the pieces of capiz that are strung around it.